The COSMIMA Collective was formed fourteen years ago, by five independent and already established Jewellery designers who saw the need to find places to exhibit their work. Hidemi Asano, Chris Carpenter, Ulla Hornfeldt, Daphne Krinos and Louise O’ Neill. 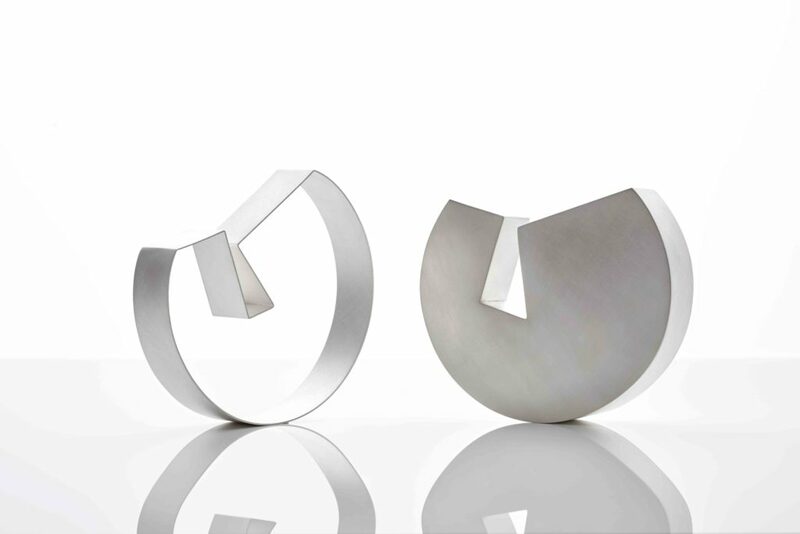 COSMIMA are dedicated to showcasing and promoting the work of contemporary silversmiths and each year, they invite two well known practitioners in that field to join them. COSMIMA are delighted to have been asked to take part in LCW 2018. They plan to showcase a small selection of specially made pieces at the gallery at 67 York Street. They have invited Ane Christensen and Juliette Bigley to join them, both really well known and widely collected metal work artists. On Thursday 10th of May, Corinne Julius, a journalist known for her dedication to hand made work and the Applied Arts, will chair an informal conversation with all the makers, discussing the history of COSMIMA and the values they share, both in their own practice but also their communal approach to curating their shows.